It’s no secret that both Apple and Google have their sights set on the healthcare market. Both have gradually become more involved with health-focused projects – the latter investing heavily in its life sciences division, Verily, and the former striking deals with health firms in its trademark covert fashion. For over 10 years there has been an ongoing battle to determine which of their respective smartphone platforms would lead the market. This competition could soon ramp up a notch as the companies turn their attention to developing meaningful health monitoring capabilities in their devices. 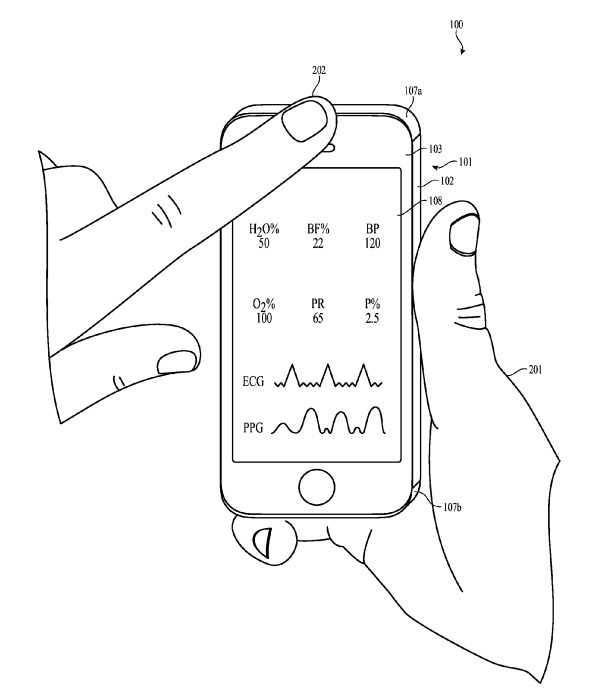 Towards the end of last week, reports broke of Apple filing for a patent that would turn the iPhone into a health monitoring tool capable of measuring indicators like blood pressure, heart rate and oxygen saturation. 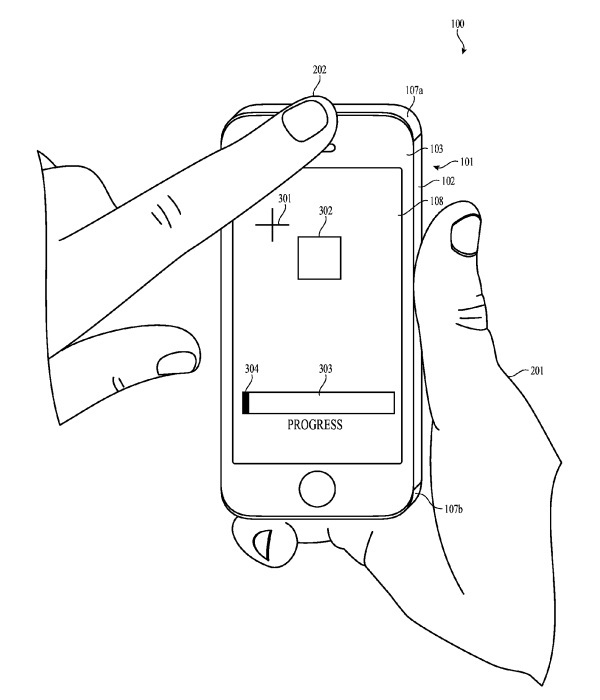 The patent made clever use of the iPhone’s built-in sensors and front light. Imagery in the patent depicts a finger being placed over the light and, by measuring the amount of light that bounces back, showing the heart rate. The data gathered from this technique could then be used to record values like body fat, breathing and even emotional health. Coincidentally, Google purchased smartphone health monitoring company Senosis Health a few days later. 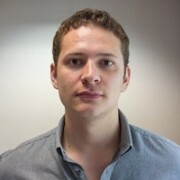 The Seattle-based startup specialises in health apps that, similar to Apple’s patent, make use of existing smartphone tech to monitor health factors. Three of the firm’s apps are currently being reviewed by the FDA: SpiroSmart, which measures lung function using smartphone microphones; HemaApp, which non-invasively screens for blood conditions using the camera flash; and OsteoApp, which screens for osteoporosis by measuring bone ‘ringing’ frequency. Reports suggest that the Senosis team will remain in Seattle, forming the backbone of an upcoming digital health project, of which there are no details yet. At this stage, little is known about either company’s plans. Even Apple’s patent filing doesn’t mean that the technology will come to fruition. With smartphones now available to the majority of the world’s population, their potential to change health monitoring could be huge. However, much remains to be done, in terms of technological innovation and testing, before smartphones can be considered legitimate health monitoring tools. 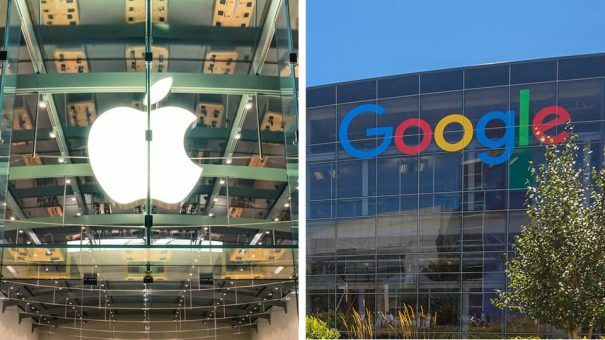 But, with Apple and Google being two of the most disruptive organisations in the world, these recent moves could represent the start of a major advance for the industry. Although it is one of the highest contributors to healthcare costs globally (~€110 billion/$300 billion every year), cardiovascular disease (CVD) remains one of the leading causes of death around the globe (~18 million). The key to tackling the disease is early detection, which currently relies on electrocardiography (ECG) technology. This week, a company called HeartSciences announced the European launch of its CVD screening solution. The tool, MyoVista, is a high-sensitivity version of ECG technology that measures the heart’s energy during each heartbeat using a type of advanced signal processing called Continuous Wavelet Transform (CVT). CVT has the advantage over traditional ECG of detecting coronary artery disease (CAD) – which can be present in asymptomatic patients – alongside both electrical and structural heart disease. Standard ECG detects CAD less than 50% of the time, so it is not recommended for screening asymptomatic patients. This means many people with CAD go undiagnosed. MyoVista technology produces more detail about heart activity than traditional ECG scans. MyoVista produces imagery similar to that of a weather map, giving clinicians a detailed visual image of energy distribution during the cardiac cycle. It can also detect arrhythmias. MyoVista is now available in Europe following impressive validation data which saw the system detect cardiac dysfunction in the resting phase of the cardiac cycle with 88% sensitivity and 87% specificity. Swiss clinical research firm Clinerion has filed a patent for a technology that enables patient search and identification using electronic medical records, but in an anonymised form. The anonymised identification (ANID) technology could assist in evaluating clinical trial feasibility or finding patients suitable for clinical trials, all while ensuring complete patient privacy and information security. The system uses anonymised records exclusively, but also enables an authorised clinical trial manager to re-identify eligible patients. Healthcare providers can also use it to match anonymised records with corresponding hospital records, even though all patient-specific information is stripped from the anonymised data prior to use. This can be particularly useful if adverse events occur during trials.